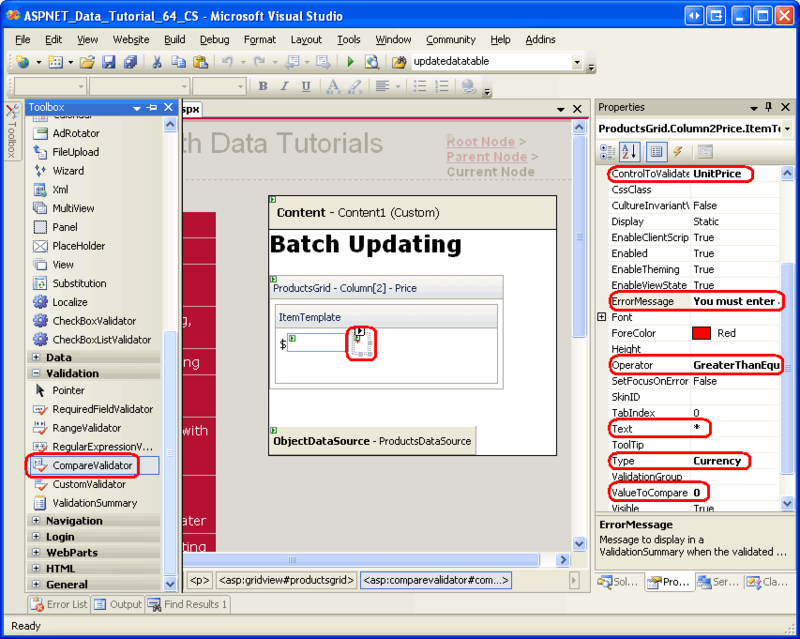 The code used in BatchUpdate is similar to that used in the BLL s UpdateProduct methods, the main difference being that in the UpdateProduct methods only a single ProductRow instance is retrieved from the architecture. 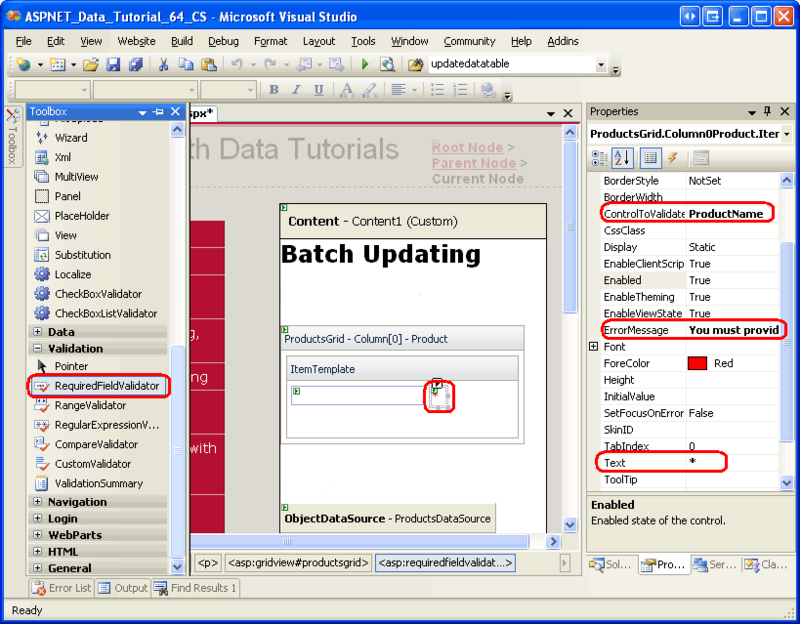 The code that assigns the properties of the ProductRow is the same between the UpdateProducts methods and the code within the foreach loop in BatchUpdate, as is the overall pattern. 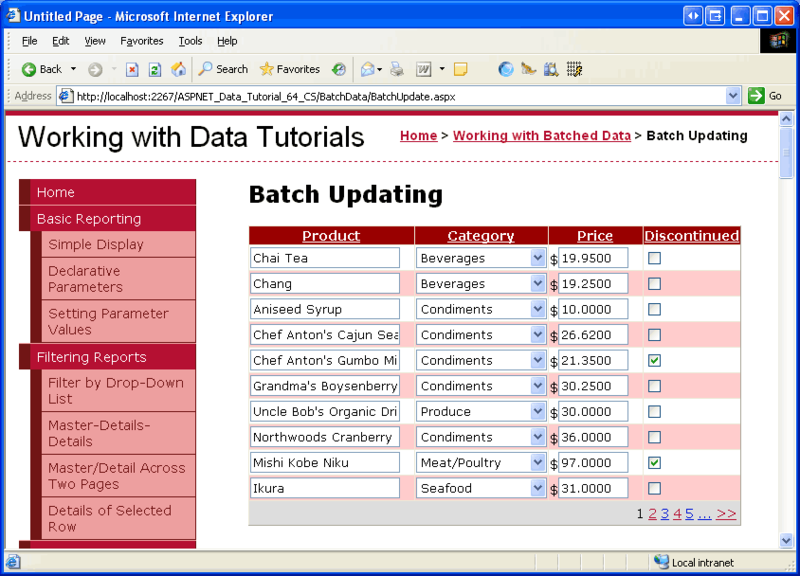 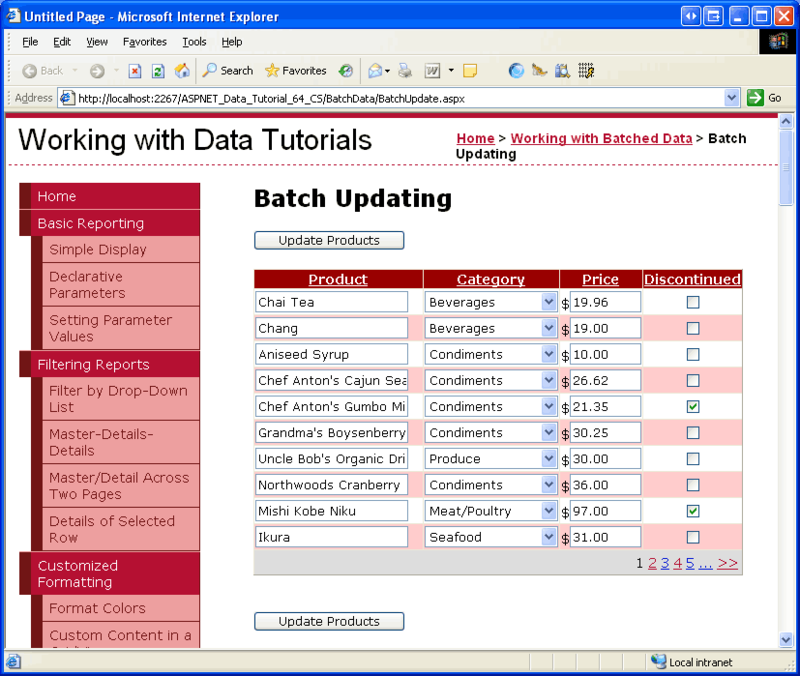 BatchMethodAlternate starts by creating a new empty ProductsDataTable named products. 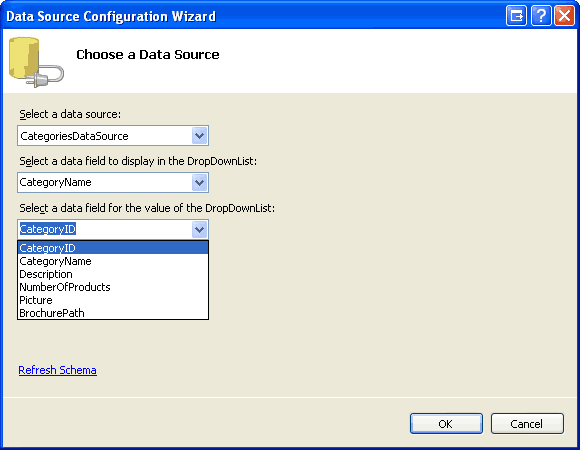 It then steps through the GridView s Rows collection and for each row gets the particular product information using the BLL s GetProductByProductID(productID) method. 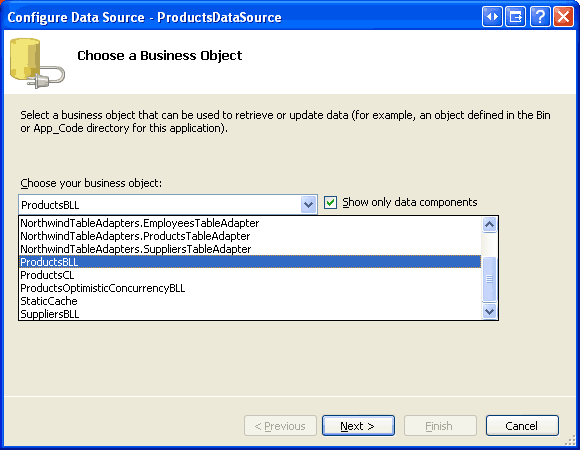 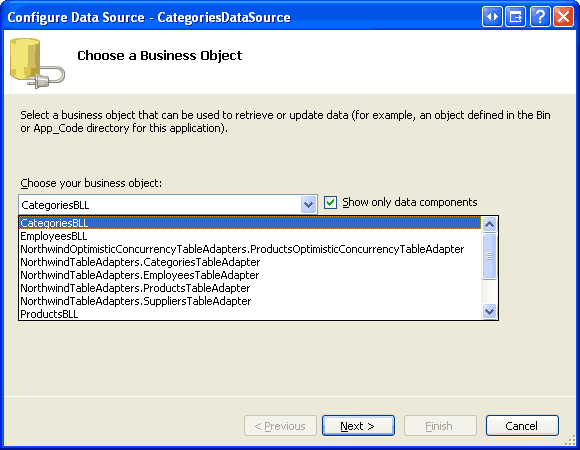 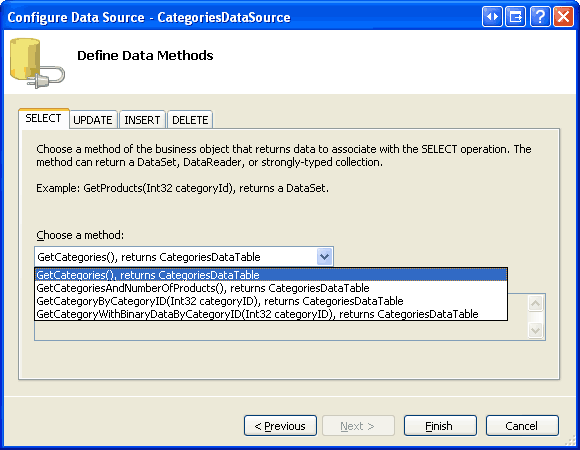 The retrieved ProductsRow instance has its properties updated in the same fashion as BatchUpdate, but after updating the row it is imported into the products``ProductsDataTable via the DataTable s ImportRow(DataRow) method. 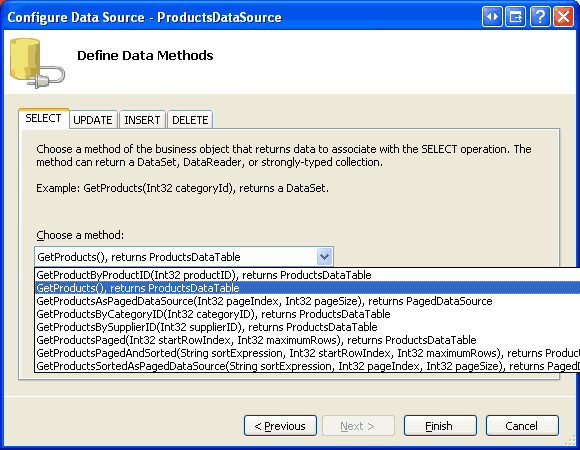 After the foreach loop completes, products contains one ProductsRow instance for each row in the GridView. 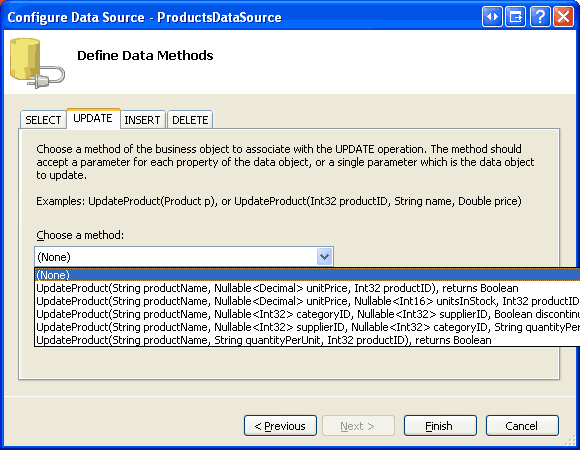 Since each of the ProductsRow instances have been added to the products (instead of updated), if we blindly pass it to the UpdateWithTransaction method the ProductsTableAdapter will try to insert each of the records into the database. 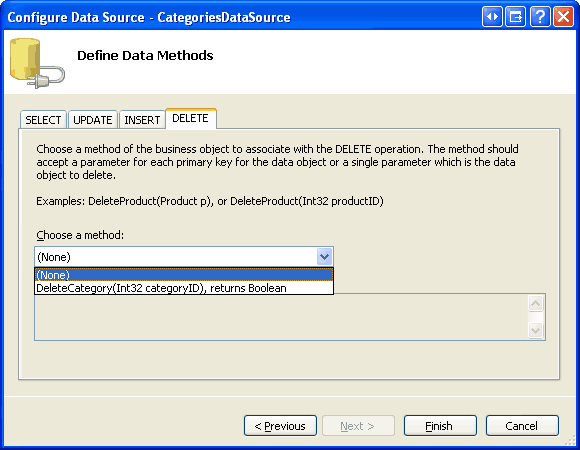 Instead, we need to specify that each of these rows has been modified (not added).